Photo agency IMAGNO was founded by collector and publisher Dr. Christian Brandstätter. IMAGNO has a collection of historical archives encompassing more than 2 million photographs and art reproductions, thereby functioning as a visual memory for art, culture and history. The collection focuses on Centraland Eastern Europe, featuring major events and celebrities as well as daily life and everyday people of the 19th and 20th centuries. IMAGNO services are designed for media and advertising professionals looking for excellent image quality to furnish their products, ranging from newspaper productions and high-gloss magazines to TV documentaries, print advertising, sumptuous picture books, and top notch exhibitions. img. 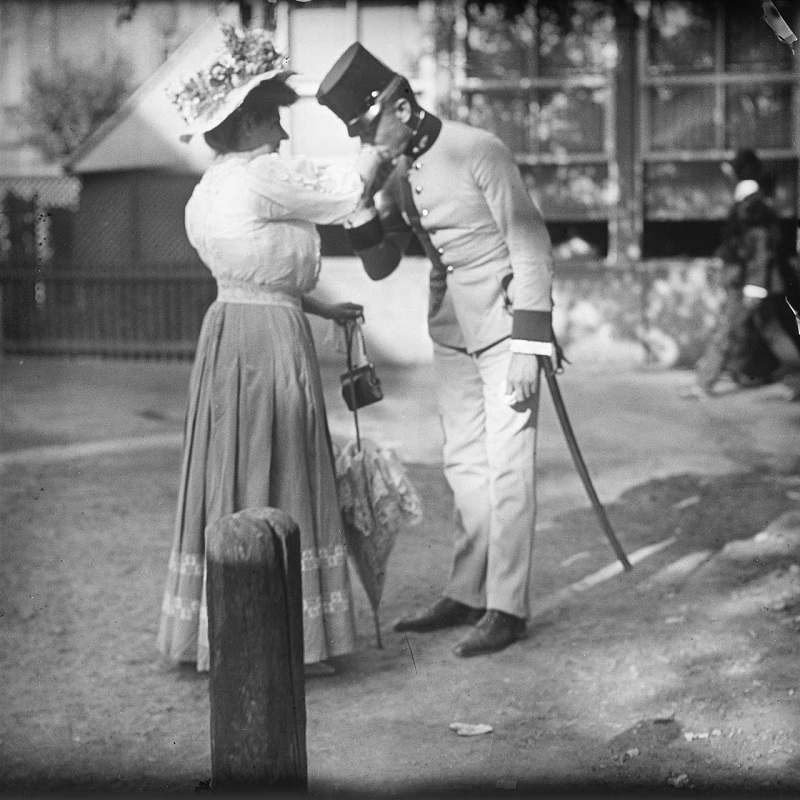 A lieutenant and a needlewoman, Vienna ca. 1910 © IMAGNO/Austrian Archives.